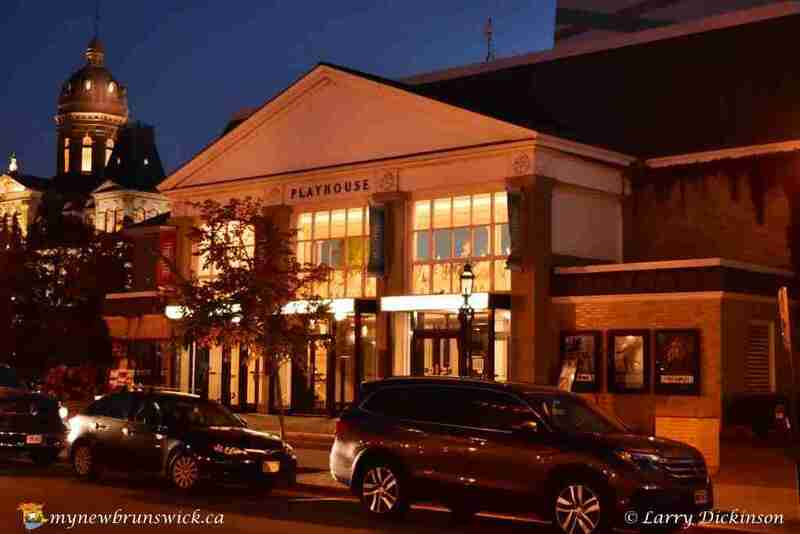 Located in downtown Fredericton adjacent to the provincial legislature and the Fredericton Convention Centre, the Fredericton Playhouse has been providing a professional venue for the performing arts for decades. With a one million dollar donation from well-known cultural benefactors Lord and Lady Beaverbrook, construction of the Fredericton Playhouse (then the Beaverbrook Auditorium Inc.) was completed in 1964. The 1000-seat, Georgian-style building would become a cornerstone of the city’s cultural infrastructure. From 1964 – 1969 the Playhouse functioned primarily as a roadhouse (rental facility). In 1969, Walter Learning (the Playhouse’s Director at the time) established Theatre New Brunswick (TNB), the only professional English-speaking touring company in Canada, and the Playhouse became TNB’s home. The facility was renovated in 1972 to expand technical capabilities and improve audience-to-performer relationship, or intimacy. The fly tower and box office were added at this time and the auditorium size was reduced to a capacity of 763 seats. In an effort to “hide” the noticeable addition of the fly tower, artist Tom Forrestall was commissioned to create the huge external mural, based on a theme of a present wrapped in coloured ribbons to hint at the gifts waiting inside. In 2000, the facility came under the ownership and management of Fredericton Playhouse Inc. With a renewed mandate to provide the Greater Fredericton region with a variety of performing arts experiences and a venue for local productions, the facility returned to its original mandate — albeit with a more local rather than provincial focus. Fredericton Playhouse Inc. is a charitable non-profit corporation and is managed by a volunteer board of directors. In the years since, the building has undergone a number of significant upgrades including new technical production equipment, new seating (the auditorium presently seats 709), washrooms, furnishings, concessions areas, and other upgrades. Theatre New Brunswick moved its offices and production facilities to a new location, providing additional room for other touring and local productions. Some of the biggest names in popular entertainment have performed on the Playhouse stage at one time in their career. Celine Dion, Diana Krall, Leonard Cohen, The Guess Who, Karen Kain, Michael Bublé, and even Simon and Garfunkel have all performed at the Playhouse. 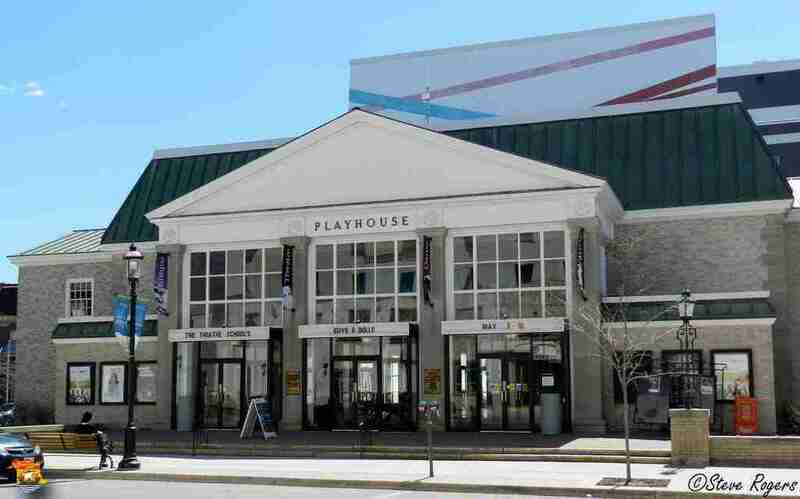 Today, the Fredericton Playhouse operates as a professional performance venue available for local, national, and international artists and companies. It also presents touring artists as part of its own professional series and offers a comprehensive education and outreach program. It has been the recipient of numerous awards and distinctions from the Canadian Arts Presenting Association, the East Coast Music Awards, and the Fredericton Chamber of Commerce. This post has already been read 795 times!